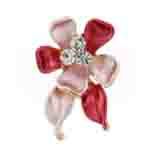 Sweet maroon red and nacreous pink enamel grape leave lapel pin brooch encrusted with four clear crystals on a gold coloured frame and fastens with a push pin clasp. 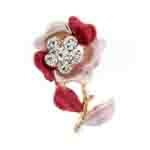 Size: 2 x 2.1 cms. 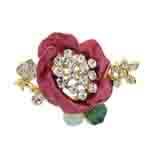 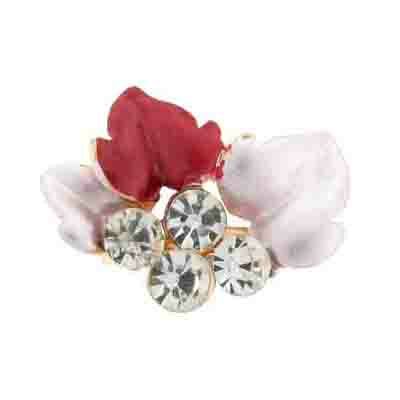 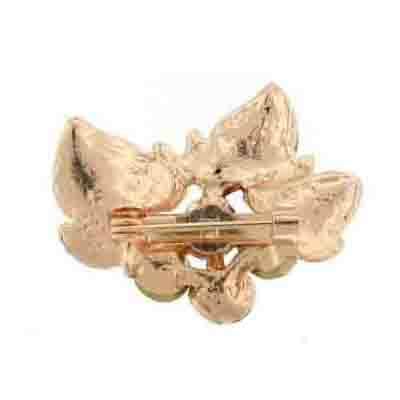 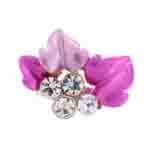 An ideal brooch adornment for adding finishing touch to any outfit.